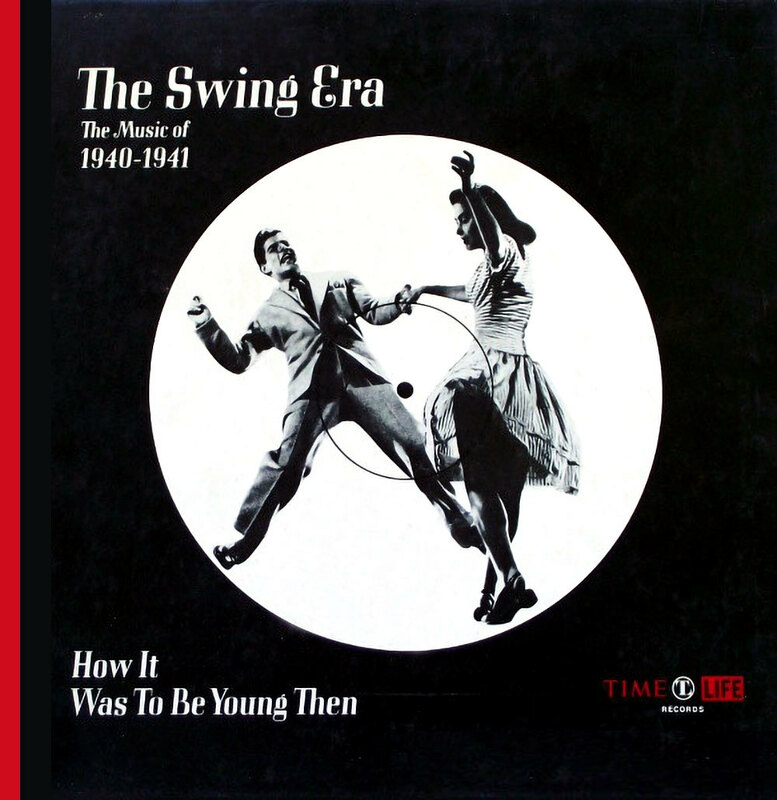 The Swing Era was one of Time- Life's most popular sets, having been reissued at least three times since its introduction in the early 1970s (see below). This may be surprising to some, since the music on these box sets is not the original big band masters heard on the radio or purchased on record in the 1930s and 1940s. Instead, the music here is a recreation of big band songs, performed by Billy May & His Orchestra and the Glen Gray Casa Loma Orchestra recording for Capitol Records in the 1960s and early 1970s. What the sets do have going for them, however, is that these new recordings are in modern high quality stereo sound, unlike the pre-CD scratchy mono low-fidelity 78s that were used for mastering most compilations in the 1970s and 1980s. And the stereo remakes were fairly faithful to the original sounds. Actually, these recordings are much closer to what one actually heard and experienced being at a dance in the 1930s and 1940s with a big band, since the 1930s/1940s vintage recordings did not do the bands justice. The first covers to the box sets were black and white. Boxes were issued through a subscription, with one volume being issued per quarter or so. After the initial issue, Time-Life redesigned the cover to make them more modern and lively. Time-Life reissued all the volumes with the new color covers starting in the mid-1970s. These box sets were also originally released in Canada and the UK with an "STA-" prefix and same catalog numbers as the "STL-" prefix boxes issued in the U.S. The series was manufactured by Capitol Records' Special Markets Division, so the vinyl was also first rate. This series of three-LP box sets in 1970 that recreated the hits of the swing era. Most of the recordings were made by Billy May and His Orchestra, with some sets featuring tracks made by Glen Gray and a modern version of his Casa Loma Orchestra. All arrangements followed the original hits very closely. Also included a hardcover 64 colour pages The Swing Era : The Music Of 1940-1941 (How It Was To Be Young Then) book.